[SatNews] ...the first radar of its kind will use emitted radar pulses to make detailed measurements of three-dimensional rainfall structure and intensity, to estimate how much water the precipitation holds. 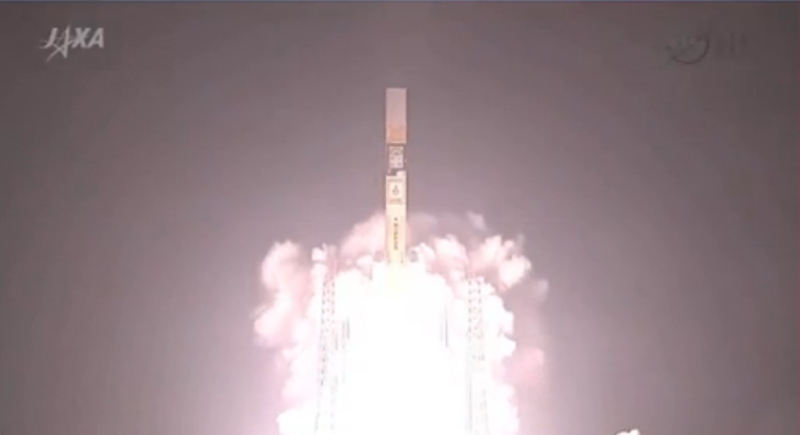 The Global Precipitation Measurement (GPM) Core Observatory, a joint Earth-observing mission between NASA and the Japan Aerospace Exploration Agency (JAXA), thundered into space at 10:37 a.m. PST Thursday, February 27 (3:37 a.m. JST Friday, February 28) from Japan. In addition, to capitalize on the excess launch capability of the H-IIA F23, JAXA will include in a secondary payload, or piggyback payload, seven small cubesats. 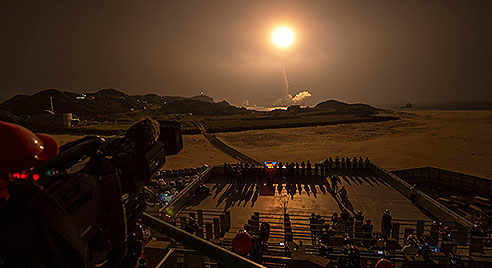 "It is incredibly exciting to see this spacecraft launch," said GPM Project Manager Art Azarbarzin of NASA's Goddard Space Flight Center in Greenbelt, Maryland. "This is the moment that the GPM team has been working toward since 2006. The GPM Core Observatory is the product of a dedicated team at Goddard, JAXA and others worldwide. Soon, as GPM begins to collect precipitation observations, we'll see these instruments at work providing real-time information for the scientists about the intensification of storms, rainfall in remote areas and so much more." A half-dozen scientists from NASA's Jet Propulsion Laboratory, Pasadena, California, participate on the GPM science team, contributing to the mission's precipitation science, developing step-by-step procedures for calculating precipitation data, and calibrating observatory sensors. JPL's Airborne 2-frequency Precipitation Radar is the airborne simulator for the GPM Core Observatory's DPR and is contributing to GPM ground validation activities. "The JPL team has a long history of developing precipitation radar systems and processing techniques and assisted in defining the initial GPM mission concept," said GPM science team member Joe Turk of JPL. "Our team is also helping define the concept and advanced precipitation/cloud radar instrument for GPM's planned follow-on mission. We look forward to the more complete and accurate picture of global precipitation that GPM will enable." For more information about NASA's Earth science activities this year, visit. For more information about GPM, visit and.